We all have things we want to be. Or do. Or achieve. In going after what you want, do you consider sacrificing present happiness for future bliss? This is often the case, but there is a better way! 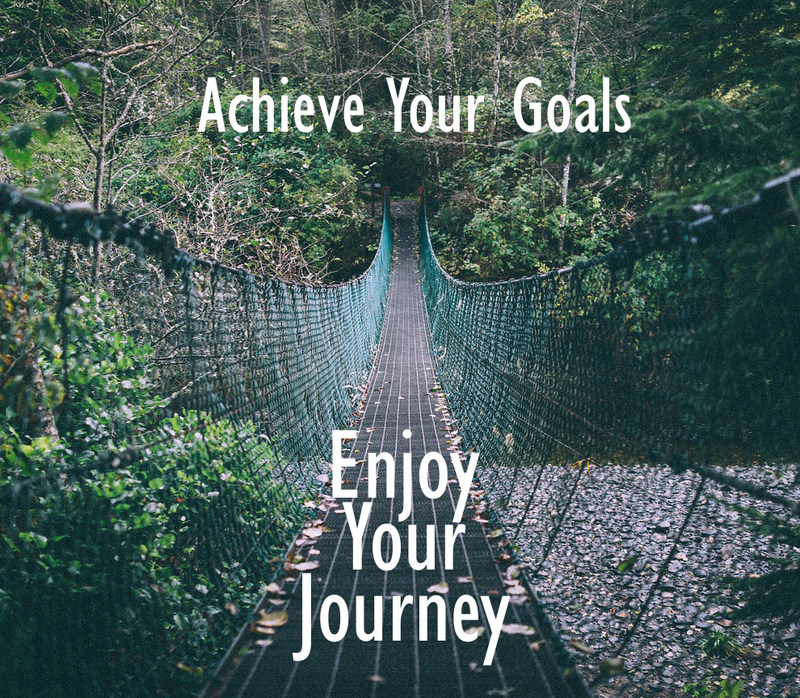 What is the secret to achieving your goals AND enjoying the journey? The first step is clarifying exactly what you want so that your path becomes clear. One of my clients described finding clarity and his path extremely well last week and graciously endorsed me sharing it with you. He described his path as the Yellow Brick Road in the Wizard of Oz. He explained how, right now, his yellow brick road is covered in a soupy fog. As he continues to progress day by day, that fog lifts a bit. He has faith that soon all of the fog will be lifted and his path (The Yellow Brick Road) will be clear—at that point it is just a matter of continuing along the path and enjoying the journey. What a lovely visual, right? How would you like to have such a clear vision for your future and the famous Yellow Brick Road for your path? Life is a journey and surprises come up along the way. For instance, just as Dorothy experienced in The Wizard of Oz, people flow in and out of your life—some deeply enrich the journey, some you learn and share with, and some are there in passing. From time to time you are skipping along with your friends when a wicked witch or a gang of super scary flying monkeys pop up! How you react to these surprises along your journey is totally up to you. I remember watching The Wizard of Oz as a kid. Do you? What is interesting is even though I was a tough kid, those monkeys had me cuddling up to my dog for protection and closing the window blinds. To say the least, they were super scary—much in the same way that life’s obstacles can seem so burdensome in the moment. Now when I see a clip of the flying monkeys they seem fake and not scary at all. When you look back, years in the past, to life’s hurdles, do they often appear less daunting than when you were living through them? What are some ways you can gain perspective in the moment when surprises pop up on your path? A secret weapon is focus. Focus on where you are going, how you are going to get there, and remind yourself to appreciate the adventure all along the way. What does focus mean to you? To me focus is: clarifying and being attentive to the task at hand, eliminating distractions, simplifying, and concentrating on getting the important things done that make a difference in the big picture. How would your life change, personally and professionally, if you kept your focus on where you were going versus concentrating on concerns that may pop up, like the flying monkeys? I changed how I rode and purposefully focused on the exact line I wanted to take while keeping my attention down the trail. Of course I noticed obstacles on the path, but never again did I focus on them. Suddenly rides became smoother, more efficient, and much more fun. Imagine having intense clarity about what you want in life, and then choosing to truly focus on your path. What will happen? Your life becomes easier, your actions are more efficient, and the ride is more enjoyable. Soon those flying monkeys that once stopped you in your tracks seem harmless and, with practice, they may vanish altogether. The choice to enjoy the journey while achieving your goals is yours. 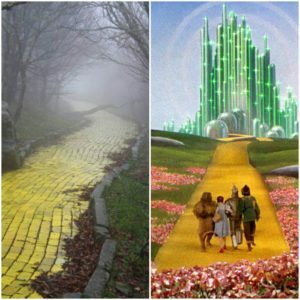 Clarifying what you really want so that the fog lifts and reveals your yellow brick road is a fantastic start. Then it is just a matter of keeping focused and enjoying the ride. If you just can’t seem to take your eyes off those flying monkeys, coaching can draw your attention to what really matters to you. Commit to a Strategy Session and experience the power of coaching. I Love this too. Emerald City here we come! PS: Flying Monkeys were way creepier than the modern day Zombies . Excellent article on maintaining your focus. The same applies to race car drivers, focus on the where you want to go and not the wall your car is heading for and the car will go where you focused it to go. Thanks for sharing your story Kristy. Thanks Andre! Hope to see you soon.